It's summer camp! So that means cabin housing! But we've got a lot of different options. So whether it's you and a friend, your family, a small group, or a residency reunion we've got you covered! Check out the options below. And don't worry about linens and towels - of course they're provided! We've had some requests for private cabins. We are able to make a LIMITED number of private cabins available this year. We have allocated TWENTY (20) cabins at this time. The price will be $1,999. Once they are gone at that price, they are GONE! Space permitting, we may open up additional private cabins at $2,249 at a later date. When you begin registration, select "Individual Registration (Full Event)." After providing profile information and preferences on things like meals, you'll be taken to the "Housing Options" page. Select "Private Cabin ($1,999)." Be sure to tell us who your friends are so we can bunk you together! Group Discounts also apply! For every five (5) registrants, the sixth (6th) is FREE! Your group doesn't need to be from the same institution - just tell us who is in your group and who your free registrant is. When you begin registration, select "Individual Registration (Full Event)." After providing profile information and preferences on things like meals, you'll be taken to the "Housing Options" page. Select your preferred housing option. 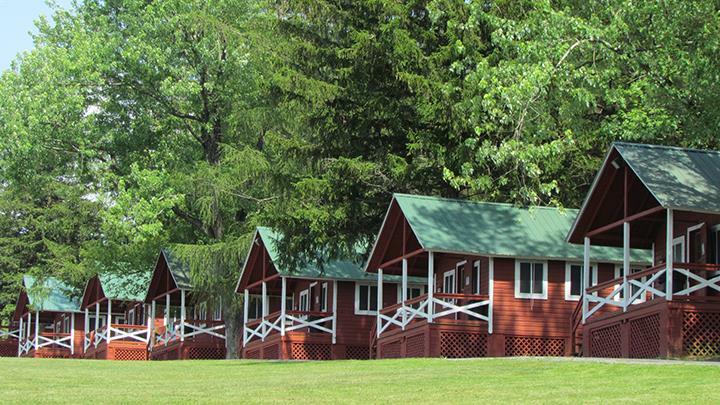 Due to popular demand, and our desire to provide YOU with the summer camp experience that suits you best, we are offering limited numbers of Family Cabins and Day Pricing Options. Read below for details. As always, if you need additional help you can call us at (520) 302-5430 or e-mail to info@happydocsummercamp.com! It is important to note these options are LIMITED and will be provided on a first-come, first-served basis. You'll be able to choose from the available options at the time you register, but your housing assignment won't be guaranteed until your registration fee is paid. You asked, and we heard! Lots of people want to bring their families. Pricing for family cabins will be based upon double occupancy. Additional family members can be added individually. 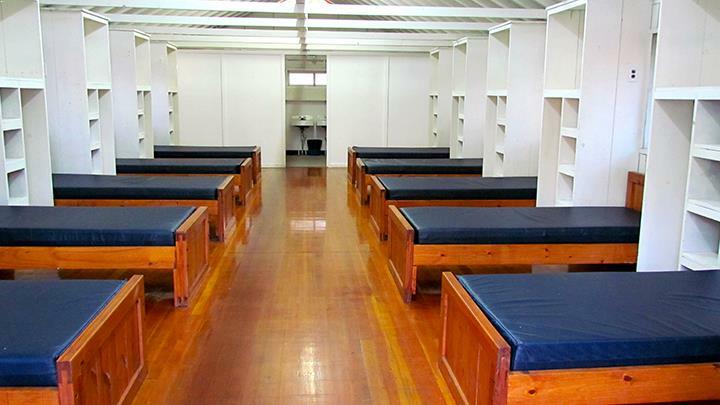 Most cabins will accommodate a maximum of 8 people - we have a few cabins that can hold 12. But hurry - once they're gone, they're gone until next year! Children under 3 are always FREE! When you begin registration, select "Family Cabin Registration (Full Event)." After providing profile information and preferences on things like meals, you'll be taken to the "Housing Options" page. Select the one you want. If you have additional family members to register, you'll do that on the "Optional Offerings" page. (We are sorry it's a little wonky, but it was the best we could do with the registration software). Of course we'd prefer you'd stay with us for the whole conference - and we're sure so would you. But if you can't - and you want to come for a day - we'd still love to have you. We're offering two options - a day with or without an overnight stay. Your overnight stay can be before or after, depending upon what suits you best. That way you can really get more of what Happy Doc has to offer. If you really can't get away for anything else, just come for the day. Stay over the night before - arrive after 6 PM, stay over, and go to conference the next day. Leave by 6 pm. Includes dinner, breakfast, and lunch the following day. Stay over the night after - arrive after 9 AM, go to the conference, stay over. Leave by 10 pm the next day. Includes lunch, dinner, and breakfast the following day. Just for the day - arrive after 7 AM, go to the conference, leave by 10 PM. Includes breakfast, lunch, and dinner. No overnight stay. All day pricing options include CME for any courses attended, and use of all camp amenities. When you begin registration, select "Individual Registration (One Day)." After providing profile information and preferences on things like meals, you'll be taken to the "Housing Options" page. You will be able to select the day you wish to stay and whether you would like to add an overnight stay before or after. If you wish to extend your stay, we can convert you to a full attendance option, pending availability. Got a big group? Contact us directly! We can work out special pricing for you! You can e-mail us at info@happydocsummercamp.com or call us at (520) 302-5430.